Facebook/A Slice of LifeSophia, 1, in a photo shared by her mother on Facebook. Pamela De Almeida is used to people staring at her daughter Sophia, 1, who has Down syndrome. 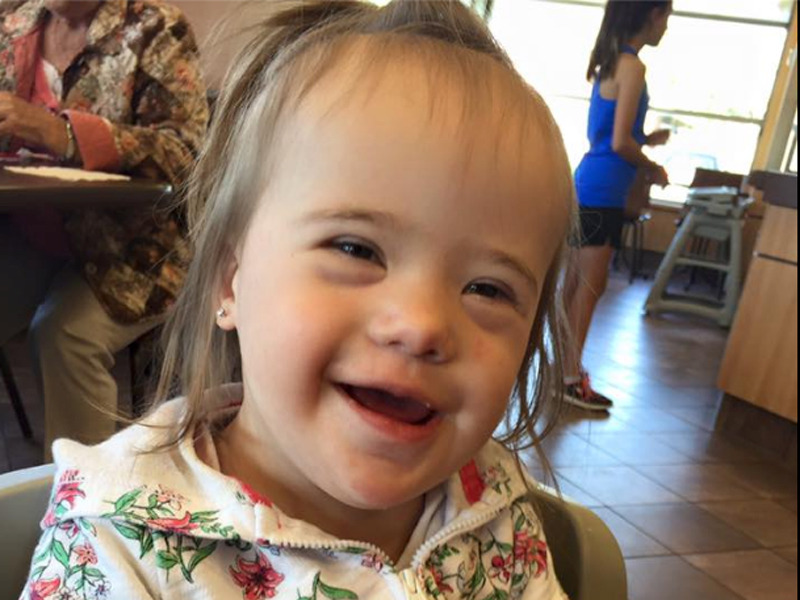 So when she noticed a man approaching her and Sophia while they sat at a Tim Horton’s, she wasn’t too thrilled. But the interaction was nothing like she predicted. De Almeida began to cry, and was so moved by the act of kindness that she wrote a post on her Facebook photography page Slice of Life.